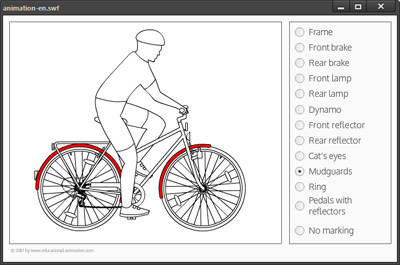 Home -> Overview of animations -> Components of a safe bicycle. Components of a safe bicycle. In the following animation the essential elements of a safe bicycle are displayed interactively.